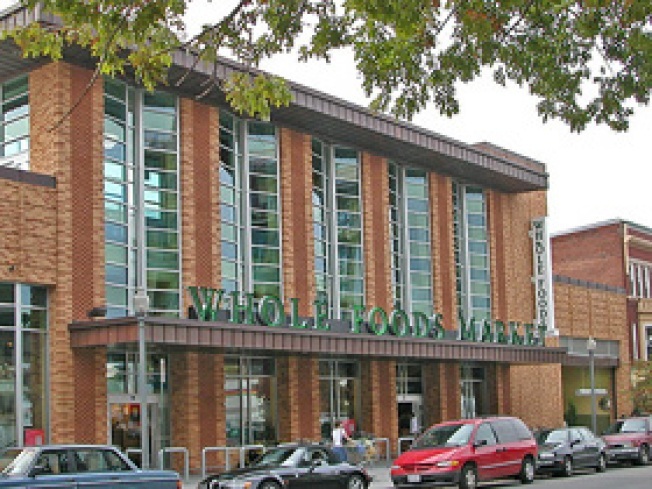 Checking What's Going on in "Food Deserts"
In early 2009, demographer Lynda Laughlinmade the case that grocery stores are "few and far between" in many parts of D.C. Her research found that in Wards 2 and 3, there was approximately one store for every 8,911 residents, but in Wards 7 and 8 there was one store for every 45,000 residents, a strong argument that lower income neighborhoods were experiencing a grocery store scarcity. "Entire block groups were designated as food deserts that either have no living residents (such as cemeteries and parks) and so do not have much income and require no access to food, or house institutions (like hospitals) and so do not have much income but likely provide food on site. Nearly 1/4 of the areas designated as food deserts may technically, but not realistically, fit the working definition." An annotated map can be viewed here. While the "cartographic fallabilty" is important to note, it does not change the issue that communities with large populations in poverty or large minority populations have poor access to grocery stores. If You Build a Grocery Store, Will They Come?